Call 704-394-1395 to place your order today! SCI Sharp Controls - One Source for Hydraulic and Pneumatic Cylinders. SCI Sharp Controls offers hydraulic and pneumatic cylinders from American Cylinder, Motion Controls, Milwaukee Cylinder, NoPak cylinders, MTS Sensors, TAIYO America, EFDYN, and B-D Cylinders. We also carry mounting accessories, alignment couplers, switches, boosters, valves, shock absorbers, elastomer bumpers, and rotary dampers. From heavy duty to light industrial uses, as well as mobile hydraulic cylinders. For scorching temperatures, continuous cycles, and rugged operations - Vulcan Series high heat cylinders by Milwaukee Cylinders! Configure the exact cylinder you need and immediately send the drawings and the Request For Quote to SCI Sharp Controls along with any notes and your contact information. You can also download the PDF drawing of the configured cylinder. Simply configure your specific cylinder or accessory. To view/download a drawing with your specific selections go to the 3D Preview or CAD Download tab. Click here to configure your cylinder! Sharp Controls offers hydraulic and pneumatic cylinders and systems from Motion Controls, LLC including Non-NFPA tie-rod cylinders, NFPA cylinders, alignment couplers, switches, and the new iNSIGHT series. American Cylinder products, from SCI Sharp Controls, includes non-repairable pneumatic cylinders, low profile LPC Series pneumatic cylinders, and tie rod pneumatic cylinders. Milwaukee Cylinder products from Sharp Controls include steel and aluminum pneumatic cylinders, low pressure and heavy duty hydraulic cylinders, and the new MILCAD Cylinder Configurator. Galland Henning NOPAK (GHN) hydraulic and pneumatic cylinders, heavy duty cast head cylinders, boosters and valves. EFDYN is a leader in industrial motion management. Sharp Controls offers EFDYN shock absorbers, elastomer bumpers and rotary dampers. 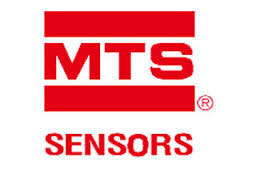 MTS Sensors and SCI Sharp Controls offer industrial, light industrial and mobile hydraulic sensors, both low pressure and heavy duty sensors. Taiyo America hydraulic cylinders, pneumatic cylinders and UTAM series air motor from SCI Sharp Controls. 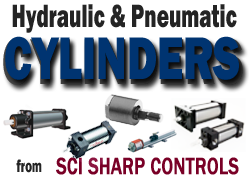 Industrial cylinders and mill type and hydraulic cylinders by Lynair, Inc. from SCI Sharp Controls. SCI Sharp Controls is your one source for hydraulic and pneumatic cylinders for industrial, light industrial and mobile uses. We offer NFPA and non NFPA tie rod cylinders, alignment couplers, switches, non-repairable cylinders, low profile cylinders, boosters and valves, shock absorbers, elastomer bumpers, and rotary dampers, mounting accessories and alignment couplers. Other products include Taiyo American's UTAM air motor as well as Milwaukee Cylinder's MilCAD configurator. We offer all the major manufacturer's hydraulic and pneumatic cylinders and accessories including Motion Controls, American Cylinder, Milwaukee Cylinder, Galland Henning NoPak, EFDYN, B-D Cylinders, MTS Sensors and Taiyo America among others. For 30 years, SCI Sharp Controls has been satisfying customers with hydraulic, pneumatic and filtration products. Call us with your first order, and one of our expert hydraulic and pneumatic cylinder representatives will make sure you are ordering the exact cylinder and/or cylinder accessory you need. Call 704-394-1395. After your initial order, subsequent orders can be fax'd or emailed to your SCI Sharp Controls representative. We look forward to doing business with you.